We made it! This is our last podcast before #400. Listen to this episode for details on our podcast celebration on 9/29/18 in Palm Springs @The Reef bar inside the historic Caliente Tropics hotel. Everyone is welcome to join us between 11am-3pm. The bar will be serving three of our most popular ZTL drinks voted on by our very fans. Try Scurvy Killer, Tahitian Exotique or Jeannie’s Fire. 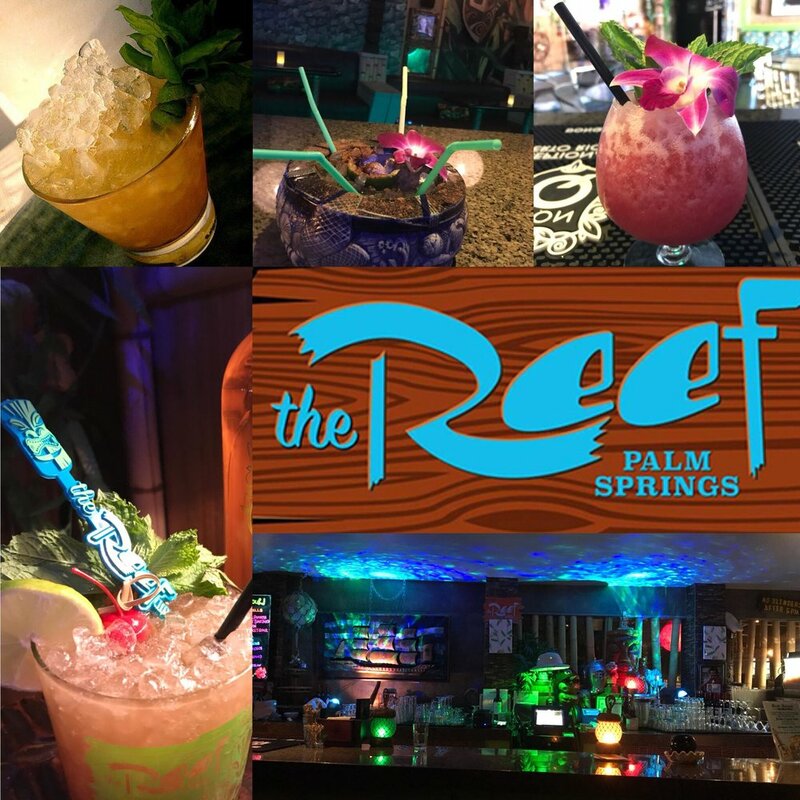 Or, enjoy one of the many other tiki drinks @The Reef. Great bar food including burgers, sandwiches, salads and SPAM masubi is also available. We are releasing our new t-shirts and rocks glasses at the event. Shirts are $25 and glasses are $20 each or two for $30 at the event only. Wait! theres more. We are also playing Whats In Kalani’s Bra, everyones favorite podcast game show. There will be prizes for those who correctly guess the most items in Kalani’s bra. CLICK HERE for the link to the invite on fb. WHEN YOU AREN'T WEARING A LUAU SHIRT YOU WANT TO PUT ON A NICE TIKI T-SHIRT. TIKI BAR T-SHIRT CLUB AS A NEW DESIGN EACH AND EVERY MONTH. EVERY SHIRT IS LIKE TIKI BAR ARCHEOLOGY, TAKING US BACK TO A BAR OR RESTAURANT THAT HAS LONG SINCE CLOSED BUT CAN LIVE IN OUR MEMORIES. SUBSCRIBE AND GET A NEW SHIRT EVERY MONTH OR BUY JUST THE ONES YOU WANT.